When the big day comes when you decide its time to sell, what will your company be worth? Don’t wait until the big exit date comes! Start learning now about how buyers value companies so that yours can become the ripe fruit in a field of sour grapes. Ripe is what buyers look for. Sour grapes is how owners feel when their business doesn’t attract a buyer willing to pay what they believe the company is worth. Becoming what a buyer wants to acquire is how your business earns value. 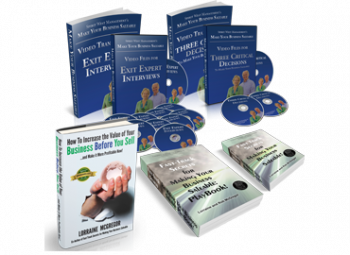 Did you know there are numerous ways to value a business? A real eye opener on the topic has just been released. 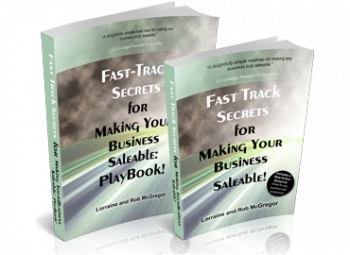 You don’t need to be a spreadsheet jockey to pull nuggets from this book. 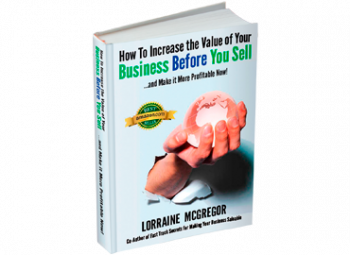 There are 25 chapters on how to value a business from the latest academic studying the valuation subject. Pablo Fernandez from the University of Navarra Business School has written Valuation and Common Sense. It is available for downloading for our readers here. But before you contemplate wading into this book, consider the following questions so you have the necessary perspective on your company’s value. Will Your Value Expectations Match Your Ideal Buyers’ Investment Goals? What you think your business is worth, and what your ideal buyer is willing to pay you for it may be miles apart. How the buyer will arrive at the final number will never make sense to you. Oh, sure. They will explain why the number won’t budge north of their final offer. Their explanation will make logical sense. But for many business owners lucky enough to receive an offer, that number may not provide heart or ego-satisfying sense. Of course, you can negotiate all you want. The deal will disappear if it doesn’t meet your buyer’s value criteria. Learning to think like an investor is easy. Separating yourself emotionally from the value you think your business is worth takes time. Start early. To prepare you in advance, here’s a crash course in value. Think about what you value about the business you have built. Check as many as apply. The evidence of your success lives in what you have built. Your employees and all they do for the company and you. Your company’s reputation in the market place. How you have surfed the highs and lows and come out on top. The accolades and testimonials that your customers have bestowed on you. Your personal status in your industry. Your success entering new markets. The amazing things people do with your products and service. How long you’ve been around serving your customers or clients. The quality and expertise you’ve put into your products and services. The lifestyle you’ve been able to afford over the years. The freedom your business has given you so you can do things your way. Your company’s consistent bottom line. Your history of revenue or sales growth. The fact you have outlasted your competitors. Place a check mark against the indicator that has the greatest value for you. Remember this indicator as you now learn what indicators are used to develop a buyer’s offer number. Now, let’s stand in a buyer’s shoes as they evaluate a business to acquire. These are the indicators they use to determine the value or amount they are willing to pay. How much revenue and gross margin is derived from each customer. The state of advancement of the product and its competitive positioning in the market place. The secret sauce or special niche the company has built and defended. The management team and how well it communicates, adds value and drives company growth. The quality of the financial statements and management’s ability to show how the company makes money and loses money. The investment made in solidifying knowledge so it is available to everyone and not left in people’s heads. The number of people in the business who have key relationships with stakeholders and customers. How much growth is available in the industry with the products and services as they stand today. How easy it will be to blend this company in with their current holdings in a way that adds value and reduces cost. How much of the current revenue is at risk as opposed to being reliable into the future. How well the buyer’s products, services and culture would fit and produce more value when merged together. How consistent the stories are when various people within the company are asked how the business works, deals with problems, generates sales, acquires new customers and manages the customer lifecycle. How involved the owners are in functional roles. The tone of the culture and how it contributes or detracts from the company’s ability to grow. Did you see the flavor of the indicator you checked off in your list? If you did, you’ve started down the road to seeing your business as an investor does. If not, read both lists again with the following idea in mind: If you had millions to invest, which of these indicators would tell you that your money would be safe and sound if you bought your company AND give you your desired return on your investment. Consider that the 14 points above are the basis for which value will be assessed. These are the lenses to see your company through as you plan your next strategic moves if you want a return on your own investment. And what about your value list? Are we asking you to throw it away? Not at all. While the points that bring joy and value to your heart and mind won’t be ‘valued’ by the buyer to assess value, you need this list. This is the fuel that powers your motivation to be in business. You don’t want to lose that. These are the indicators you need to trumpet. It is time for you to acknowledge yourself, your team and your partners. What your company is worth to a buyer should not be used as a measure of your own success. When you value all that you have created, you don’t need an external source, like a buyer, to do it for you. Your self-approval and self-acknowledgement for all you have built up to now will help you find and negotiate the best deal for all concerned… when it comes time to getting the financial return on your investment. How are you ‘valuing’ your business and rewarding the people that helped you build it?